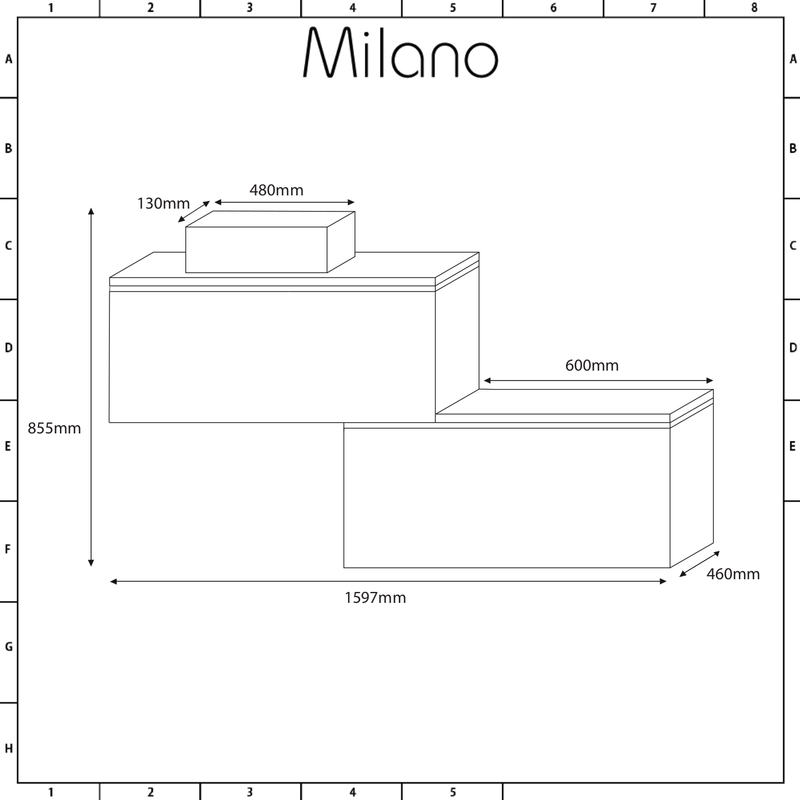 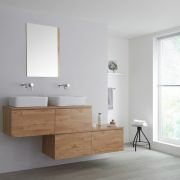 Create a stylish new look in your bathroom that is as practical as it is attractive with the wall-mounted Milano Oxley 1600mm stepped vanity unit with basin. 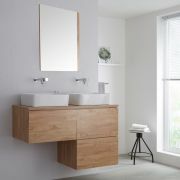 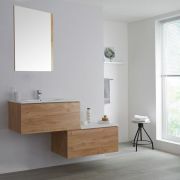 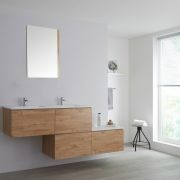 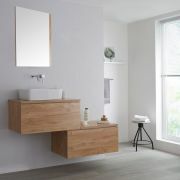 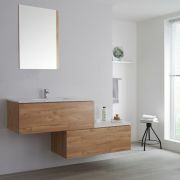 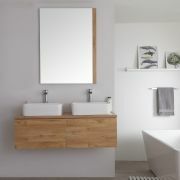 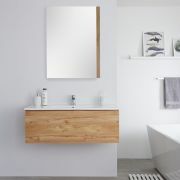 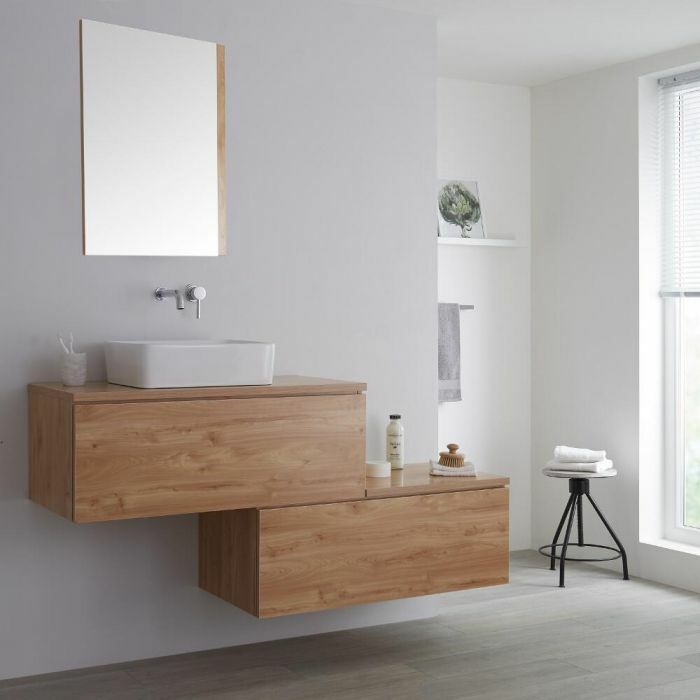 Crafted from robust moisture resistant engineered wood to ensure long-lasting use, the Oxley vanity unit features a stunning golden oak woodgrain effect finish. 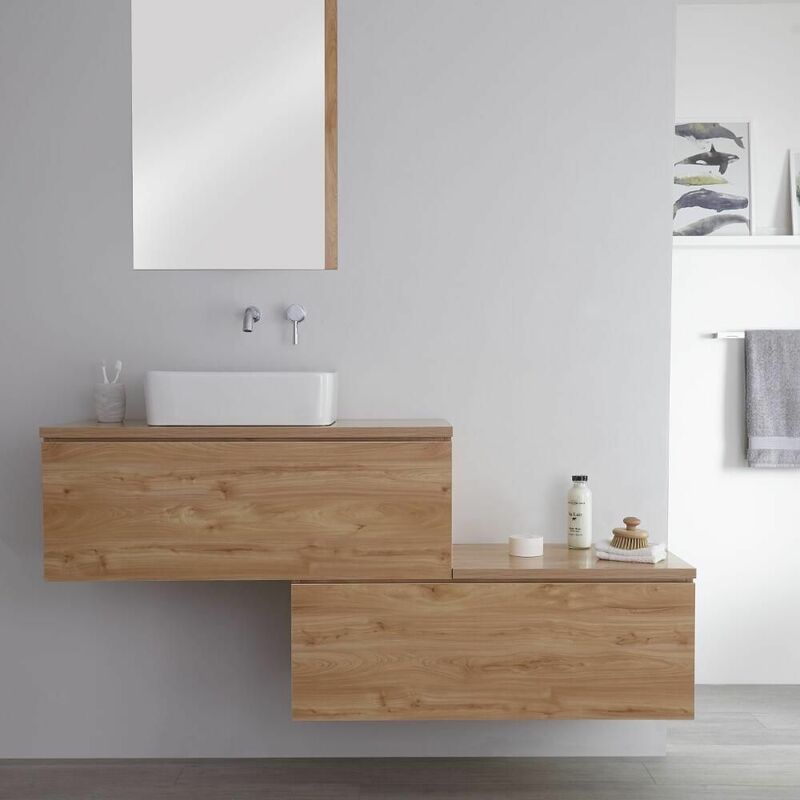 A minimalist look can be maintained thanks to two large push to open soft close drawers to enable you to store your toiletries and beauty products out of the way. 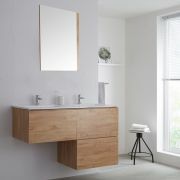 In addition, a useful countertop allows you to have your bathroom essentials to hand for convenience. 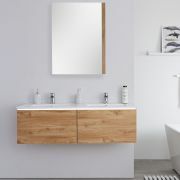 A high quality ceramic rectangular countertop basin with streamlined appearance completes the look, featuring an easy to clean white glaze. 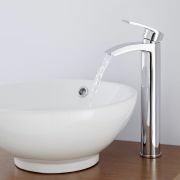 As the basin isn’t fitted with tap-holes it is suitable for use with any of the wall-mounted or high-rise taps from our range.